Kurokan is a baseball themed manga series created by Norifusa Mita that appeared weekly on “Manga Goraku” from 1996 to 2002. 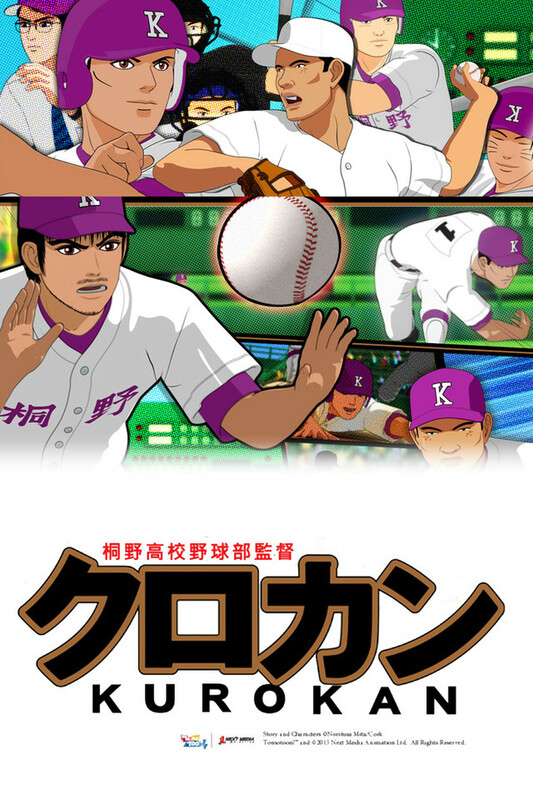 Kurokan tells the story of a baseball team manager, Kuroki Ryuji, also known as Kurokan, with his unorthodox methods, and baseball strategies he uses to teach and motivate his baseball team to the championship. He encounters many obstacles and conflicts, not only within his team, but with the school and community. Kurokan breaks from “traditional” rules of a baseball manga story and focuses more on the human element that will touch your hearts. Kurokan is a manga masterpiece that tells the story, not only from the perspective of the players, but also from the perspective of the baseball manager. Kuroki “Kurokan” Ryuji, with his leadership guidance, will lead his team to the championship at Koshien Stadium! !